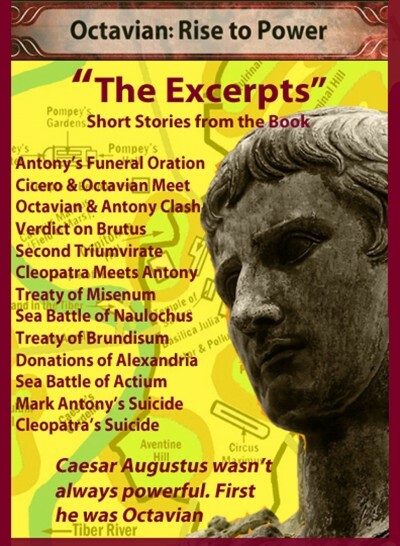 Octavian Chronicle #9, Battle of Naulochus-36 BC, tells the whole story. On September 3, 36 B C, the three hundred ships of Sextus Pompey’s fleet were lined up along the northeast coastline of Sicily, facing north. Behind them, stood the port city of Naulochus. 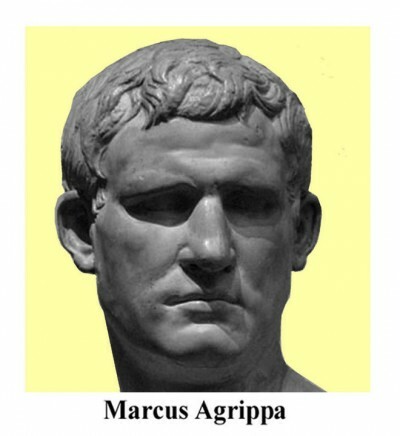 Octavian had three hundred ships under the command of his good friend, Marcus Agrippa. They were lined up directly across from and facing Sextus’ fleet. A great sea battle was about to begin. Sextus had all but lost the land battle for Sicily, so his only chance for victory was to defeat Marcus Agrippa who had never fought a sea battle. Sextus believed he had the upper hand, but he had no idea of Agrippa’s strategy which included a secret weapon he’d personally invented. Had he known, he might not have issued the challenge which Octavian and Agrippa are about to discuss here. Sextus Pompey was out on the porch of his villa when his land army commander, Tisienus, arrived. “That’s right. He issued the challenge. We’ll pick the place of battle.” When Octavian stepped outside the tent, he saw Cornelius and waved him over. “I guess you’re right,” said Cornelius, a frown on his face.